We had an incredible time running in support of organ donation and transplantation. The race distances were 5K, 10K, 13.1 mi, and 26.2 mi and we had participants in all events! Today, there are over 122,000 individuals on that list waiting for a lifesaving transplant. 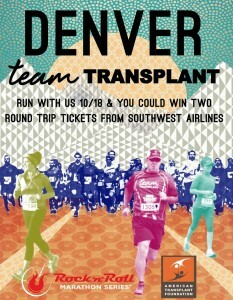 Join us for our next bug Team Transplant event to support these men, women, and children in need. Be a Transplant Warrior and help fight for each of those precious lives. Click here to learn more and join us! Follow us on Facebook to get access to motivational posts, inspirational stories, fitness and nutrition advice and staying up to date on your event! Run to raise awareness for organ and tissue donation! NEXT PRICE INCREASE IS SET FOR SEPTEMBER 15TH! You will have the opportunity to earn fabulous prizes based on your personal fundraising. Prizes are constantly being updated so check back for more! 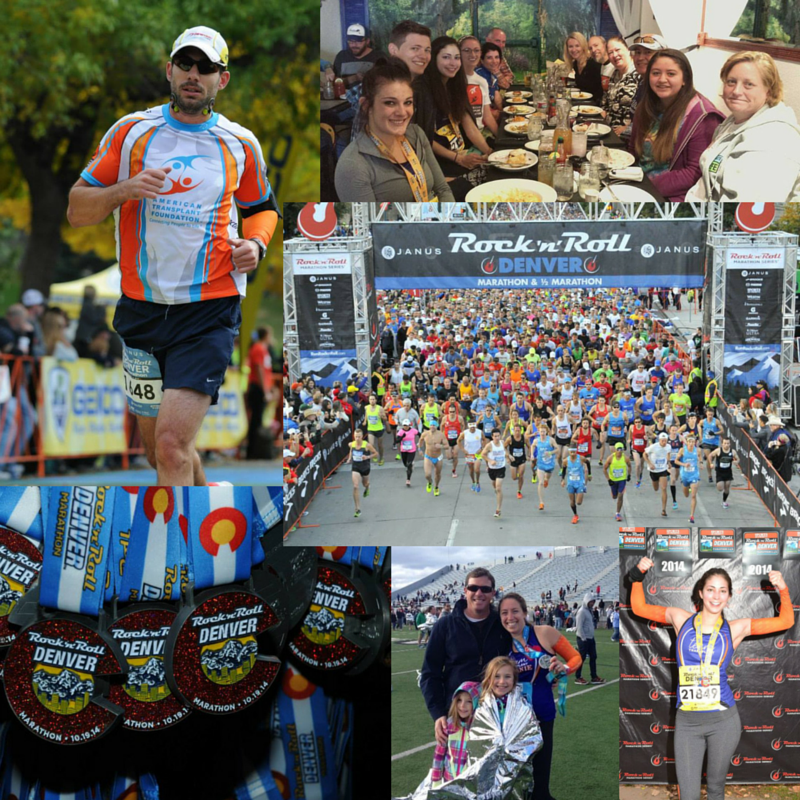 Please visit the Denver Rock ‘n’ Roll Marathon site to learn more about the 5K, 10K, half and full marathon courses. Find out which course is right for you, your friends and your family. A special group of supporters, transplant recipients, and living donors will run/walk with Team Transplant to prove it’s possible to lead a healthy, active life even after a transplant! Donor families participate to honor their loved ones who gave the Gift of Life. Supporters participate to show their support for the cause. Please indicate upon registration your special connection to transplant! 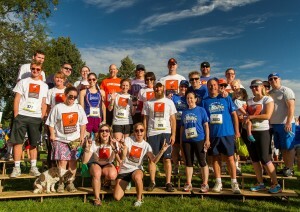 Sunday, July 19, 2015 American Transplant Foundation attended the 16th Annual Donor Dash at Washington Park in Denver, Co. Our team consisted of 61 participants: living donors, recipients, and supporters – our largest team yet! You all helped us raise $2,245 to support ATF’s lifesaving initiatives at this event! 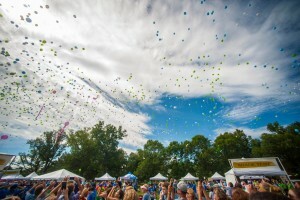 The weather was beautiful, so many people came out to join the cause (almost 5,000)! We had a lot of supporters come by the tent and say hi and appreciate everything we do. This is such a great event, and everyone there is so nice and warm and love to share their personal stories. 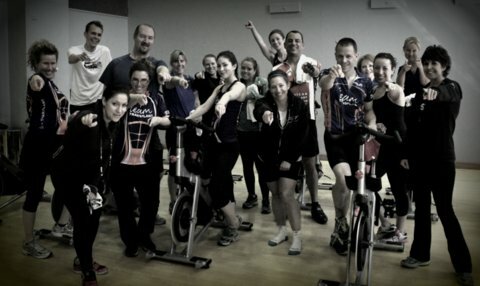 The event was a huge success and it was a great time for everyone who participated! The Donor Dash is an annual event annual walk, sponsored by our partner organization Donor Alliance, to honor those who have given the gift of life though organ or tissue donation, celebrate our healthy recipients, and recognize those who are still awaiting a lifesaving transplant. 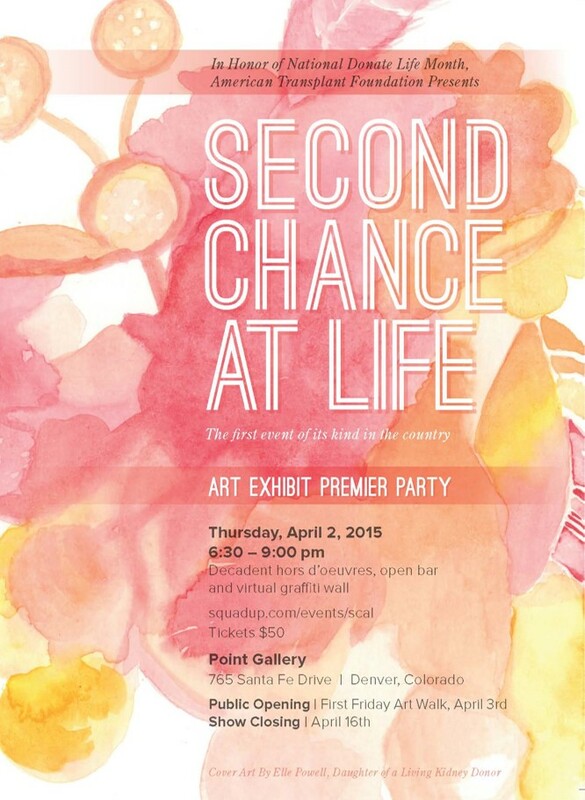 Second Chance at Life was a fine arts initiative meant to raise awareness about the importance of organ donation from both living and deceased donors. This event/exhibition raised funds for the most vulnerable organ transplant patients through a private artist reception and silent auction. The show’s art came from artists around the country, including some with direct transplant experience. Some of the pieces are for sale in our online shop and all proceeds will go to the Foundation. The premiere party raised $20,000 for the Foundation (gross revenue). The exhibit united the world of art and that of transplant, educating the public about a topic that is potentially foreign to them. Every day, 21 people die while waiting for a lifesaving transplant. Of the 123,472 people awaiting a transplant, 117,168 could be saved by a living donor. Educating the public and increasing the amount of living donors is the mission of both the American Transplant Foundation and the Second Chance at Life arts exhibition. This event was made possible by our amazing sponsor, the Cancer Treatment Centers of America. 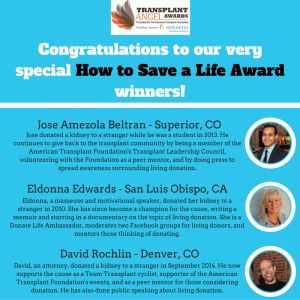 These awards recognize and reward selfless altruistic (non-directed) living organ donors. These people are generous, passionate, and continue to contribute to the cause through education, outreach, and/or fundraising. Nominees must live in the USA. The How to Save a Life Award will be presented along with the Transplant Angel Award and the Transplant Hero Award at the second bi-annual Transplant Hero Awards Gala. The Gala will take place in Denver, Colorado, on June 11, 2016. 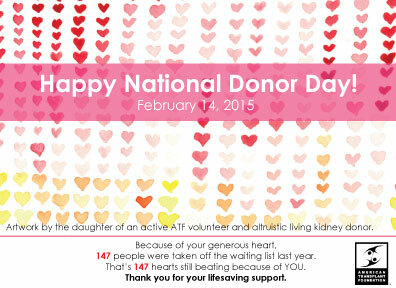 February 14th is National Donor Day! December 2, 2014 was #GivingTuesday! 7. Add to the #GivingTuesday #GivingTower for ATF here. No amount is too small or too big. With our fundraising goal of $10,000 we can support up to 20 transplant patients with anti-rejection medication, essential living expenses during recovery, and mentorship throughout the process. We thank you in advance for your support. Happy Giving Tuesday!! https://www.americantransplantfoundation.org/wp-content/uploads/2018/04/ATF-circle-logo-3.jpg 0 0 powelle https://www.americantransplantfoundation.org/wp-content/uploads/2018/04/ATF-circle-logo-3.jpg powelle2014-12-01 16:44:262017-05-25 22:26:04December 2, 2014 was #GivingTuesday! American Transplant Foundation volunteers visited Mile Hi Church near Denver, CO. We talked with the congregation members and did outreach to raise awareness for organ donation, especially living organ donation. 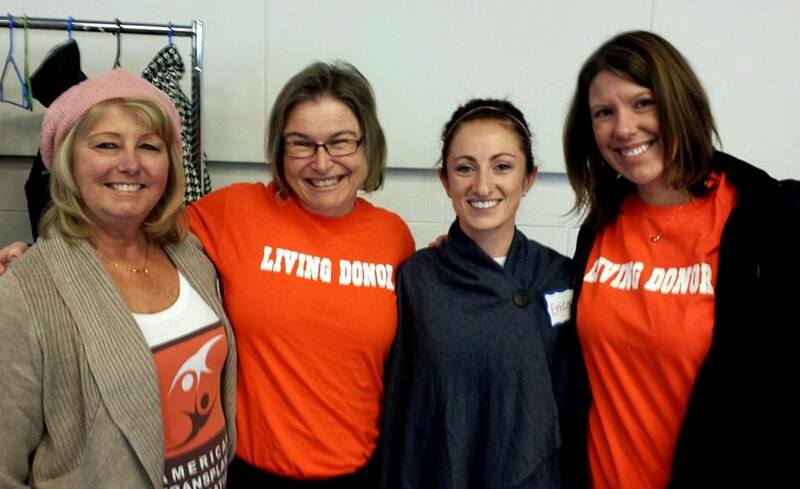 One member of their congregation happens to be the first ever altruistic living organ donor in the state of Colorado! He helped us organize this event. Thank you to Mile Hi Church. 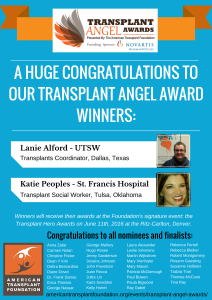 The Transplant Angel Award recognizes and rewards transplant medical professionals for their outstanding personal and professional commitment to patient advocacy, support and empowerment that ultimately leads to a lifesaving transplant. This award is designed to recognize not just those who perform their job with excellence, but those who strive beyond what is expected. A medical professional in the transplant field who meets the criteria for this award should exceed the expectations of the patient and exceed the goals defined by his/her transplant center. This is for the medical professional who stands out above other excellent performers in the transplant field. 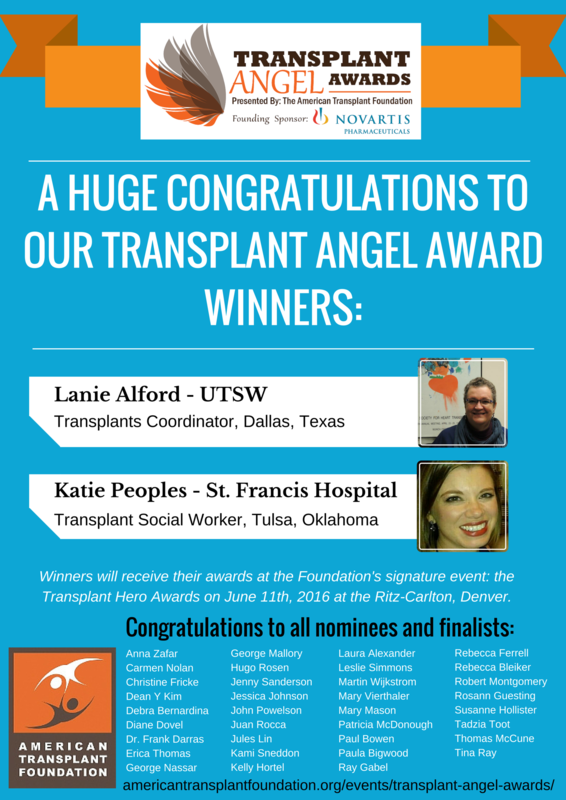 Two Transplant Angel Awards will be given: one in the transplant medical professional category and one in the transplant coordinator category. These awards will be presented along with the How to Save a Life Award and Volunteer of the Decade Award at the second bi-annual Transplant Hero Awards Gala. The Gala will take place in Denver, Colorado, on June 11th, 2016.